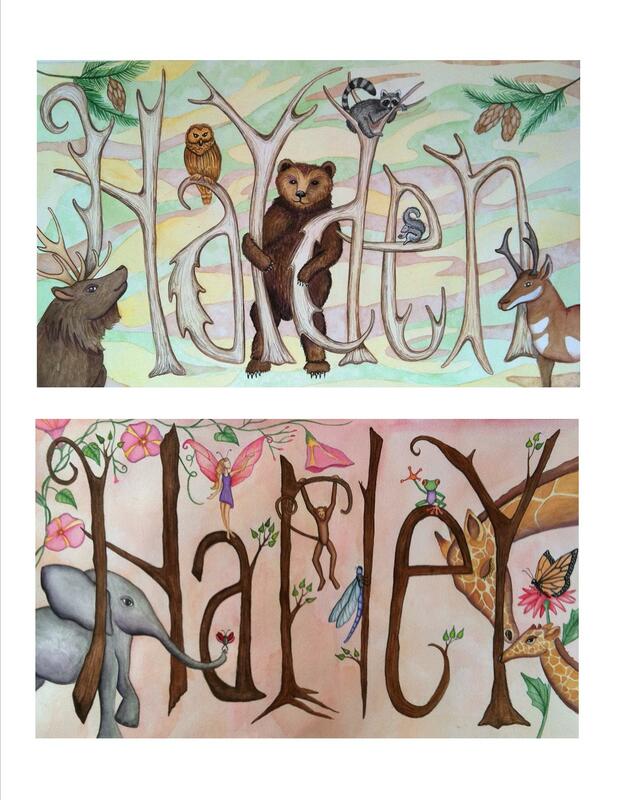 Latest completed project: Two recent commissions I did for newborn twins; Hayden and Harley. They’re 12″ x 20″ watercolor paintings. Perfect gift idea for baby showers, birthdays, or Christmas! This woman’s sister-in-law purchased a Faerie Tales Studio gift certificate from me to pay for part 0f them (used as the down-payment) and then the twins’ mom paid for the rest once completed.